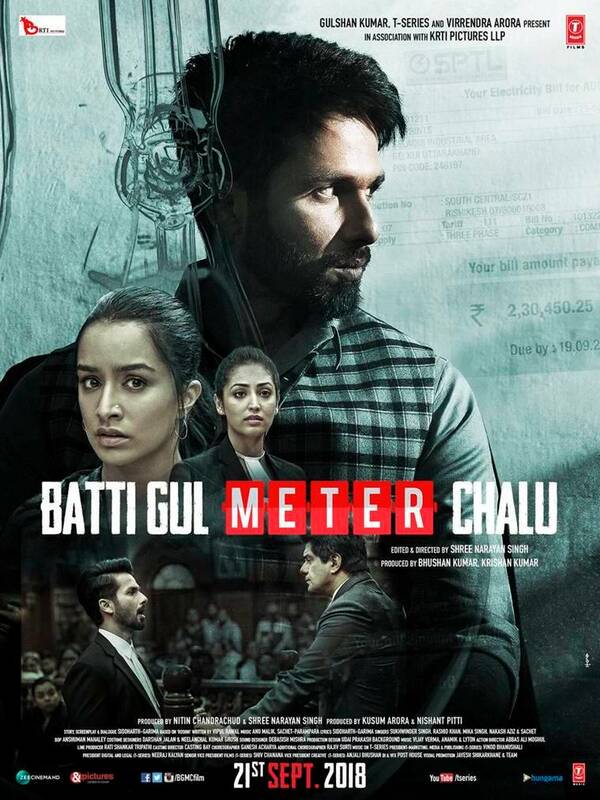 Batti Gul Meter Chalu trailer: Set in a small town of Uttrakhand, Shree Narayan Singh has tried to bring to the fore the issue by intertwining it with friendship. 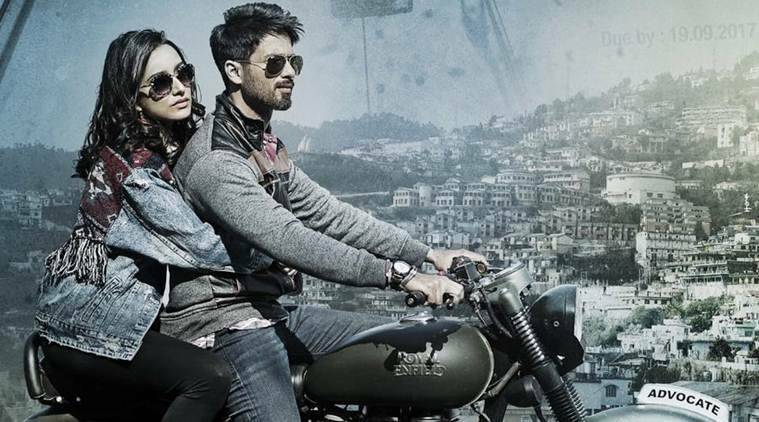 Starring Shahid Kapoor, Shraddha Kapoor, Divyenndu Sharma and Yami Gautam, the film will release on September 21. The makers of Toilet Ek Prem Katha are exploring the issue of power theft in their next film titled Batti Gul Meter Chalu. Starring Shahid Kapoor, Shraddha Kapoor and Yami Gautam in the lead roles, the trailer of the film was released today. Though many documentaries, like Katiyabaaz, have been made on the subject, Batti Gul Meter Chalu is the first feature film which highlights the problem of electricity theft in India. Set in a small town of Uttrakhand, Shree Narayan Singh has tried to bring to the fore the issue by intertwining it with friendship. Shahid, an advocate by profession, is a carefree man until his friend played by actor Divyenndu Sharma commits suicide under the pressure of paying a hefty amount of Rs 1.5 lakh as his electricity bill. From this point onward, his life’s only purpose is to seek justice for his friend. Apart from awakening the responsible friend in Shahid, Shraddha Kapoor doesn’t seem to add much to the story and Yami Gautam gets little screen time in the trailer. The first half of the three-minute long trailer leaves you confused and you might want to replay it to understand what’s happening in the film. It’s only in the second half that you are able to join the dots and find a story in this mess. 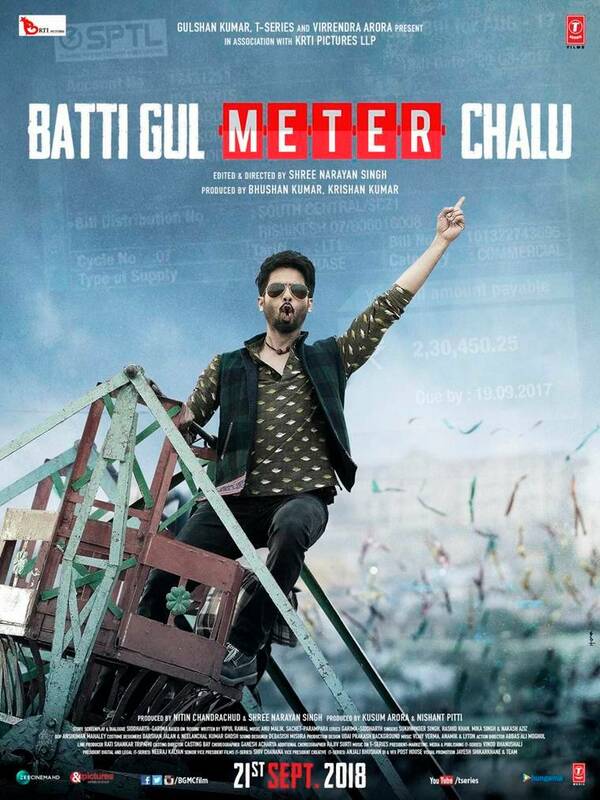 “Feeling top of the world!” wrote Shahid Kapoor ashe shared this poster of Batti Gul Meter Chalu.